This week, Adam Harris visited Colaiste Gleann Lí in Tralee, Co. Kerry, as part of AsIAm’s secondary school workshops programme. Speaking on the first day of the school’s celebration of Diversity Week, Adam touched on the issues of what autism is, how it presents itself in day to day life, and the importance of an inclusive and open mindset towards understanding the condition and those living with it. “The important message that I want to say to you is that no two people with autism are ever the same. Just like everyone in the room is different from one another, it’s the same with two autistic people. The condition affects everyone living with it in different ways. Opening for Adam’s presentation was Donald Walsh, a pupil attending the school who is autistic himself, and has ambitions to become a self-advocate within his local community. Deputy Principal Liam McGill praised Donald’s words and personal progress in coming so far since his starting out at the school. 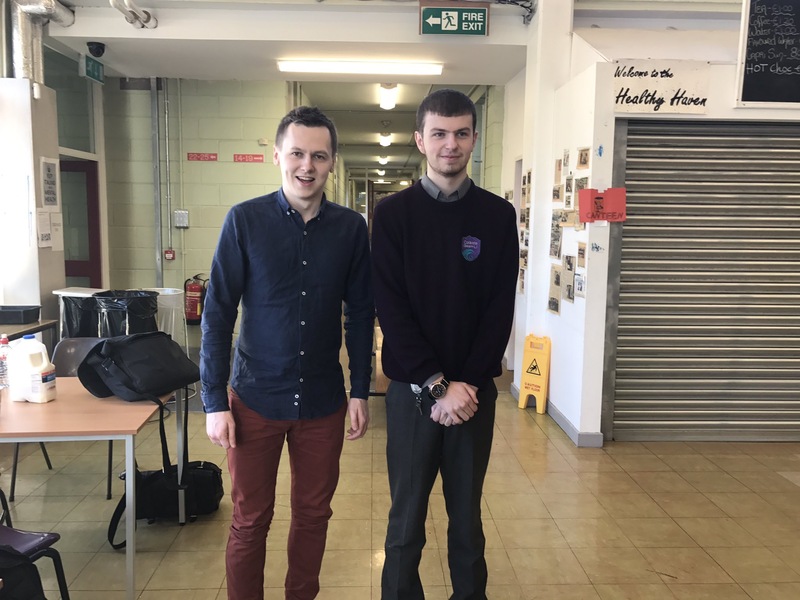 Mr McGill went on to say that Adam’s talk “really gave an indication of what it’s like to live with autism, and how everyone on the spectrum’s very different and how to embrace difference. If you would like to know more about AsIAm’s Secondary School Workshop or would like to book a speaker, click here.